Pictured: An artist’s rendition of the previous design of the Sur La Plage development in Swakopmund. PLANS to construction a ten story building on the beach at the Mole in Swakopmund have been changed drastically to appease residents protesting against the property development going ahead. 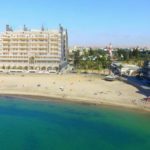 In the past the progress of the project have been plagued by diligent objection from residents that were not willing allow a building of 40 metres high to be erected on the beachfront. Besides the aesthetics issue residents also argued that a building of that height would impede with national security measures at State House Swakopmund and the effectiveness of the old lighthouse situated a short distance away. Since the demolition of the building that accommodated the municipal indoor swimming pool and other public amenities, the property has been lying bare and the unappealing groundwork is only partly kept from the public eye by a fence of corrugated metal sheets. Instead of ten stories the new design only has seven stories above ground level of which the top two floors will be occupied by double story penthouses. In this regard the developer, Lighthouse Property Investment Trust (LPIT), has started with a new public scoping drive to introduce residents of Swakopmund to a brand new design that mitigates their original objections. The building will be ten metres lower than the original design and will include a brand new lighthouse that will be built on the same site as the building. It is also designed to incorporate elements aimed at blending in with rest of the holiday town’s unique architectural character. According to one of the people involved with the development of the project, the new design if the building does not impede with State House security any longer and the incorporation of a brand new lighthouse tower also carries the approval in principal of the Namibian Ports Authority. The documents of approval from State House and Namport also formed part of the developer’s display during the public scoping process at the Swakopmund Municipality’s office complex. If constructed the newly designed Sur La Plage will be situated on the site of the old municipal swimming pool on the beachfront and it would form part of the promenade development and modernisation started by the Ohlthaver and List Group with the eventual completion of the new Strand Hotel in 2015. 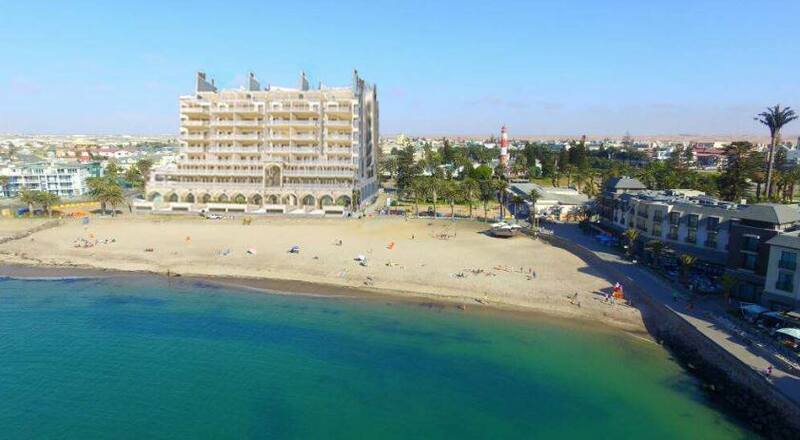 According to the representative of the Lighthouse Property Investment Trust the Aesthetics Committee of Swakopmund is expected to make a decision on the approval of the new design of Sur La Plage within the next five to six weeks. During December last year the developers have been given an opportunity until the end of July this year to obtain a building permit from the local authority. Once the building permit is obtained the developer has been granted an additional 18 months to complete the project. The developers behind the project stated that the development will inject new life into the local economy and once construction commences at least 800 temporary jobs will be created. Once completed the commercial facilities that will be situated on the ground floor will create opportunity for about 250 permanent jobs.